If you want at least three reasons to take a trip outside the gates of Rome, here’s a brief description of some culinary treats of the Castelli Romani, on a tour through the flavours of the heart of Lazio. It doesn’t take days of travel to come into contact and enjoy the most rural roman tradition. All it takes is a short trip toward the south of the capital and see the fusion between the nature and traditions of the Castelli Romani. A trip to the Castelli Romani: what are they? The Regional Park of the Castelli Romani extends over the volcanic hills called the Colli Albani. The name “Castelli Romani” (Roman Castles) refers to the country manors built by rich Romans during the Avignon Captivity, when the capital had fallen into an economic and cultural crisis. To this day in this area you can find buildings and houses dated back to medieval times and prior. 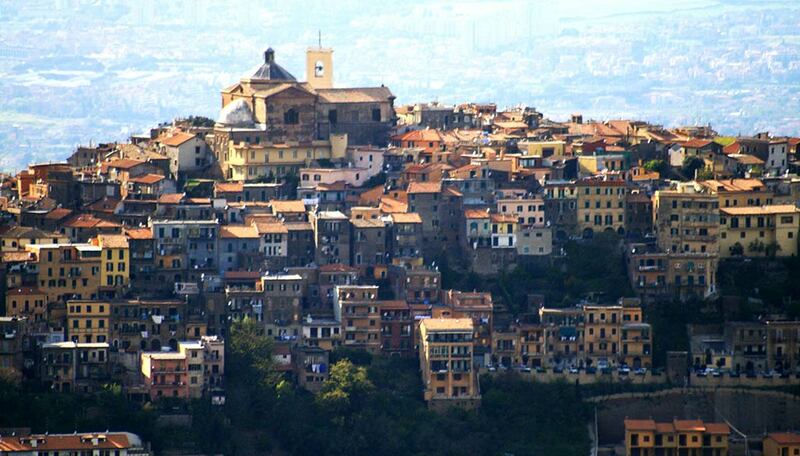 What to try on a tour around the Castelli Romani? The Castelli Romani are responsible for the production of three quarters of the wine in Lazio. But the wines aren’t the only treasures awaiting you in the Castelli Romani. Their local products are plentiful and a single day won’t be enough to try all of them! Here are some that you mustn’t miss out on. In what used to be the crater of the Lazio Volcano, whose ancient eruptions formed the whole area, there are two lakes, the Albano lake and the Nemi lake. Here in Nemi, a hamlet of less than 2000 inhabitants, the wild strawberries are famous. According to legend, their sweetness and heart shape were the result of the blood of Adonis touching the tears of Venus, distraught by the death of her lover. The strawberries of Nemi (certified as a traditional agri-food product) grow spontaneously thanks to special microclimatic conditions. They can also be planted, picked and sold by the “fragolare”, who traditionally wear a red skirt, a black corset and a white shirt. At the beginning of June these berries there is a Lazio festival to celebrate these berries. Whoever is gluten-intolerant will hate not being able to taste these specialities, that alone are worth the trip outside the city. Genzano bread is famous for its thin and crispy crust around a soft and sour crumb. Lariano bread is made with brown flour and culture yeast, and it is extremely light thanks to its double rising. The real star of this short list is the pulled pork of Ariccia, with a whole festival dedicated to it during the month of September. Although the festival began in the fifties, the Porchetta di Ariccia is an ancient, pre-roman tradition, in a period in which pork was prepared to offer as sacrifice at Giove Laziale, near Monte Cavo. It is cooked with garlic, rosemary, salt and pepper, and the technique has been passed from generation to generation in Ariccia. Are you still unsure about abandoning the ruins of the city center to spend a day outside the city in the Castelli Romani?